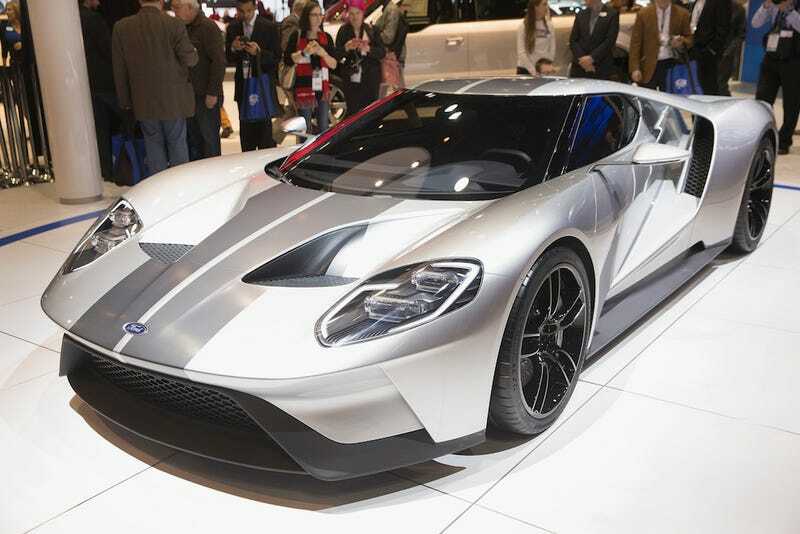 Could A New Ford GT LeMans And A New Shelby Cobra Be On The Way? The Truth About Cars provided a compelling argument this morning that we might be able to expect some exciting new cars. The Auto Moto Film Festival is taking place at the Fillmore Auditorium as part of the Chevrolet Detroit Belle Isle Grand Prix. In attendance is Ford Motor Company’s head of product development, who dodged questions about a new Ford GT at the next 24 Hours of LeMans race. After the Q&A was over, I privately asked [head or product development Raj Nair] if his remarks about 1966 and LeMans meant that the car would be competing there next year. He replied, “Right now we’re focusing on the production car.” I complimented him on the deflection and he said he’s had some practice with that question. I then pointed out, “Yes, but I noticed that you didn’t say no.” Nair just smiled broadly. Not a confirmed yes, but it’s enough to make us curious.